The Freightliner Cascadia Evolution sets the industry benchmark for long-haul applications that demand the highest level of fuel efficiency. The Cascadia Evolution reached the 10 MPG mark with a load of 76,000 pounds on a test track. Then, it went on to hit 9.31 MPG in real-world conditions on a cross country tour with a full load. The Cascadia Evolution demonstrates a seven percent increase in fuel economy over the original EPA10-compliant Cascadia. The Cascadia Evolution's aerodynamic features were refined using our proprietary, state-of-the-art wind tunnel. Extensively tested on highways throughout the United States, with nearly three million miles in combined reliability and fuel economy testing. Detroit has designed, engineered and manufactured the DD15® engine, DT12™ transmission and a full line of Detroit™ axles to work together as one integrated Detroit™ Powertrain in the Cascadia Evolution. The Cascadia Evolution's sleek aerodynamics with Integrated Detroit™ Powertrain lowers operating costs for husband and wife drive team, Cindy and Jim Fowler. Freightliner works with Liquid Trucking to spec their Freightliners with roll stability, which is especially important for keeping trucks upright when hauling liquids. The Detroit Assurance® suite of safety systems includes driver-friendly controls and seamlessly integrates into the truck’s dashboard, engine and transmission electronics. The Freightliner Cascadia Evolution features an ergonomic cab layout with backlit LED gauges that are easy to read both day and night. The truck also features steering-wheel-mounted controls for cruise, marker lights, engine break. The Driver Message Center helps drivers focus on the road ahead. 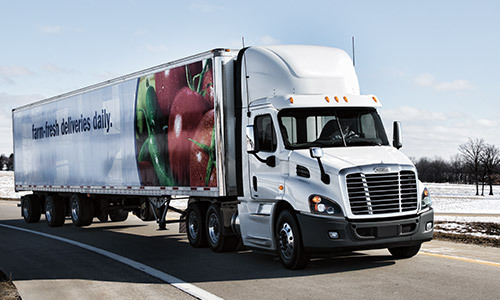 The Cascadia Evolution offers a range of safety features, from driver airbags to LED headlights, enhanced stability control to air disc brakes for steer and drive axles. Bison Transport, North America's safest large trucking fleet, chooses Freightliner to get their drivers home safely. The Detroit™ Connect Virtual Technician℠ remote diagnostic system removes guesswork from repairs, enabling drivers and fleets to quickly and accurately understand warning lights. The Detroit™ Connect portal provides users additional information about overall fleet health, while enabling them to dive deeper into specific fault events. Detroit Connect delivers actionable insights on engine, vehicle, driver, trip and fleet performance. 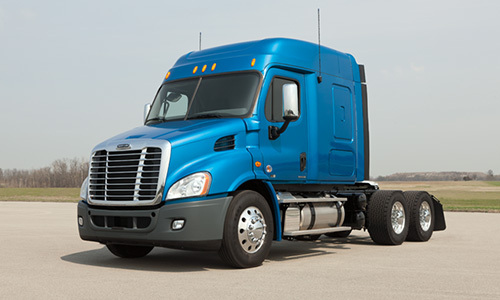 Freightliner® trucks are manufactured using the latest technology, including robotics, automated systems and factory laser alignment, to achieve precision results. Quality control steps include dyno testing of all Detroit™ engines and trucks to ensure maximum performance. Quality matters. At Freightliner, advanced manufacturing technologies ensure comprehensive structural integrity, reliability and durability. Teams of engineers and industry professionals at Daimler Trucks North America are constantly challenging their own benchmarks and existing industry-leading standards. 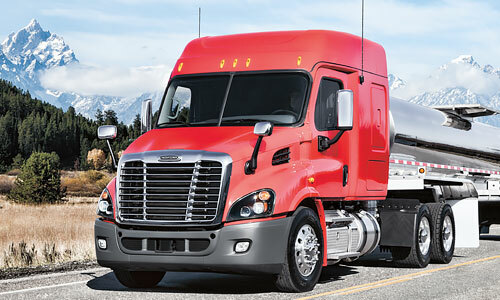 Brossard Leasing depends on the Freightliner dealer network to lower its Real Cost of Ownership. 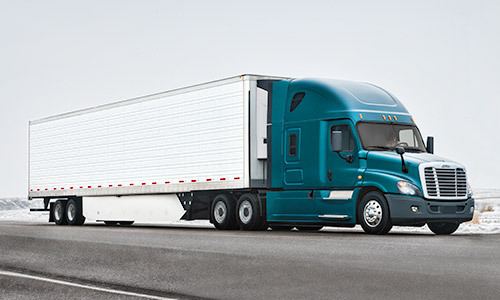 The Cascadia Evolution delivers the reliability Brossard needs to do business. Uptime = Profitability. It’s That Simple. Boosting uptime with Detroit™ Connect telematics solutions, including Detroit Connect Virtual Technician℠, Detroit™ Connect Remote Updates and Detroit™ Connect Analytics, the Freightliner Cascadia Evolution takes the guesswork from engine repair. Downtime eats into your bottom line. 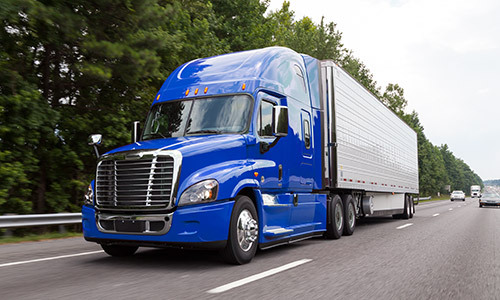 That's why Freightliner Trucks tested the Cascadia Evolution's major components under grueling performance simulations to ensure their reliability. The Cascadia Evolution was designed with attention to cross-platform improvements that increase your uptime and grow your bottom line. The standard roped-in windshield can be replaced within 30 minutes, while the rugged three-piece bumper features replaceable end caps. Cascadia Evolution: From day cabs to mid-roof and raised-roof sleepers, Freightliner has the right on-highway truck to fit your business needs.